“If we can just hold them to less than 12 runs, we’ll get some wins,” Stripling playfully quipped. His comment was of course in reference to the Houston Astros 13-12 win over the Dodgers in Game #5 on Sunday night. With that 13-12 loss, the Dodgers became only the second team in World Series history to lose a game where they scored 12 or more runs. The only other game was in Game #4 of the 1993 World Series when the Toronto Blue Jays beat the Philadelphia Phillies 15-14. There have been only four times in World Series history that a team has lost when they scored 10 or more runs. In addition to the two games mentioned above, the other two games were Game #3 of the 1997 World Series when the Florida Marlins beat the Cleveland Indians 14-11, and in Game #2 of the 2002 Fall Classic when the Anaheim Angels defeated San Francisco 11-10. Can the winner of the MLB All-Star Game predict whether the A.L. or N.L. 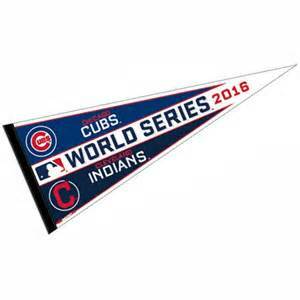 team will win the World Series that year? 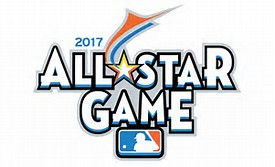 In the last 30 years when there was a winner for the MLB All-Star Game and the World Series in the same year (in 1994 a players’ strike cancelled the World Series and in 2002 the All-Star Game ended in a tie) 17 of those seasons the same league won the ASG and World Series. Last season the A.L. won the ASG, but the N.L. Cubs won the World Series. The same league has won the ASG and World Series in 10 of the last 16 years, and in five of the last seven. A trend? Tonight will be the 38th Game 7 in World Series history. Let’s take a look at the last 10 Game Sevens (since 1982) and see if any trends have developed that could give us a hint as to which of tonight’s teams, the Cubs or Indians, will be victorious. 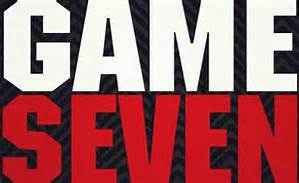 The Game 6 winner: The team that won Game Six also won Game Seven in eight of the last 10 World Series Game Sevens. Advantage: Cubs; they won Game Six last night. Score: Of the 20 teams that have played in the last 10 Game Sevens in the World Series, only four scored six or more runs in Game Seven. In fact, only seven of the 20 teams even scored four or more runs. The loser of the last 10 Game Sevens in the World Series scored two or fewer runs in eight of those 10 games. Expect a low-scoring game tonight. Scored first in the game: Five of the last 10 teams to win a Game Seven in the World Series scored first in the decisive game. Scoring first in the game is not that important. 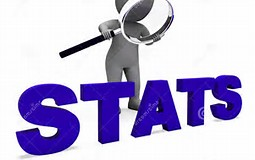 Run differential: Six of the last 10 World Series Game sevens was decided by two runs or less, four were decided by one run. It will probably be a close game, maybe one or two runs. Score in the first inning: Only one of the 10 winners of the last 10 Game Sevens scored in the first inning. Not a factor. Home field advantage: The home team has won nine of the last 10 World Series Game Sevens. Advantage: Cleveland… they host tonight’s contest. More hits: The team with more hits in the game has won nine of the last 10 World Series Game Sevens. Errorless game by the winner: Seven of the last 10 winners of a Game Seven in the World Series did not have an error in the game. Home Runs: HRs in Game Seven of the World Series has not been a factor. Only four of the 10 teams that won Game Seven had an HR in that game. Errors: The 10 winning teams of the last 10 World Series Game Sevens had a combined total of three errors; the 10 losing teams of the last 10 World Series Game Sevens had a combined total of six errors. Starting pitchers: Of the 20 starting pitchers in the last 10 World Series Game Sevens, 13 pitched five or more innings… eight were from the winning team, five from the losing team. Each team will be looking to get five innings out of their starter. Having the lead after six innings: Of the teams that won the last 10 World Series Game Sevens, seven had the lead after the sixth inning, two were tied after six innings, and one was behind going into the seventh inning. You don’t want to be behind in Game Seven going into the 7th inning. 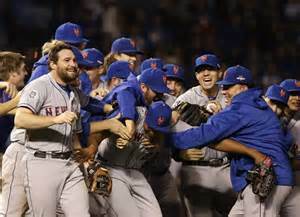 With their 1-0 win over the Cubs last night to take a 2-1 lead in the series, the Cleveland Indians did something that has been pretty rare in World Series history: They have now pitched a shutout in two of the first three games and became the 19th team in history to win two or more games in the World Series by shutout, In addition, the Tribe is only the sixth team in World Series history to win two of the first three games in a World Series by shutout. All total, there have been 118 shutouts in World Series history. Of the 18 teams that had two or more shutouts in a World Series, 13 went on to win the World Series that season, five did not. That is not good news for the Chicago Cubs. Let’s look at the 19 teams that have pitched two or more shutouts in a World Series year. The Indians will be looking to become the only the fourth team in World Series history to win three or more World Series games by shutout (1966-Baltimore, 1965-L.A. Dodgers, 1905-N.Y. Giants). Each of these teams won the World Series that year. As noted above, five teams were shutout twice in a World Serioes yet went on to win the title that year… that is certainly what the Cubs are hoping for. The last time it happened was in 1960 when the Yankees pitching staff shutout the Pirates in Games #3 and #6, yet the Pirates won Game #7 to win the championship. The other teams to win a World Series after being shutout in two of the games were the 1959 L.A. Dodgers, the 1945 Detroit Tigers, the 1921 N.Y Giants and the 1917 Chicago White Sox. One final tidbit: Did you that the last team to lose two of the first three games of a World Series by a shutout to go on and win the World Series were the 1945 Detroit Tigers. Their oppponent in that series? The Cubs!